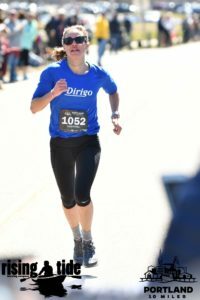 Why did you decide to run the Portland 10 Miler? I always enjoy racing at home, it is nice to be able to warm up and cool down to the start/finish line and sleep in your own bed the night before. Plus 10 miles is one of my favorite distances to race! 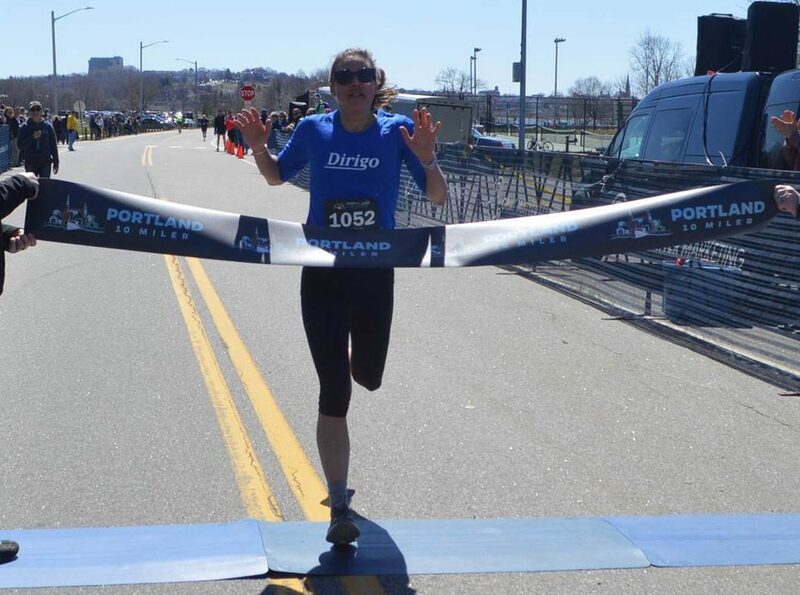 What was your favorite part of the Portland 10 Miler? I love the course, it is my favorite route to train on in Portland with beautiful views of Casco Bay. The finish line fest was a blast, too. What do you love about the 10-mile distance? It is long enough to feel accomplished, and short enough to not take weeks to recover from the hard effort. The night before I set my goals and establish a race plan to help me achieve them. I always have a nutrient dense dinner, for me that is meat or fish, with roasted vegetables, spinach, and lots of good fats, like olive oil, nuts, avocado, and cheese. In the morning I have coffee and a small breakfast, typically some type of bar and will warm up a few miles with a few fast strides. For running, definitely fall! Can’t beat the crisp air and perfect temps for training. For everything else, summer in Maine cannot be beat!